For the ultimate in shock placement, choose the JConcepts aluminum shock stand-offs to upgrade your Traxxas MT performance, this can also be found in the complete set of #2477. The replacement stand-offs are anodized in a high-gloss black color and with their low-profile nature, position the shocks at just the correct angle for suspension movement and clearance. 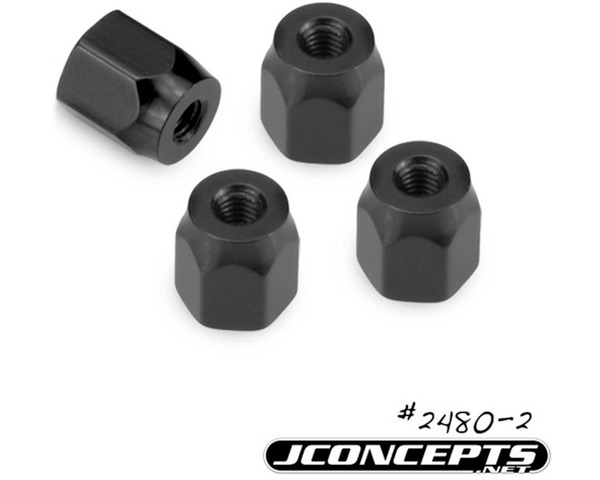 The hex based design is stocky and provides a 3mm threaded center for the best shock to tower connection possible.